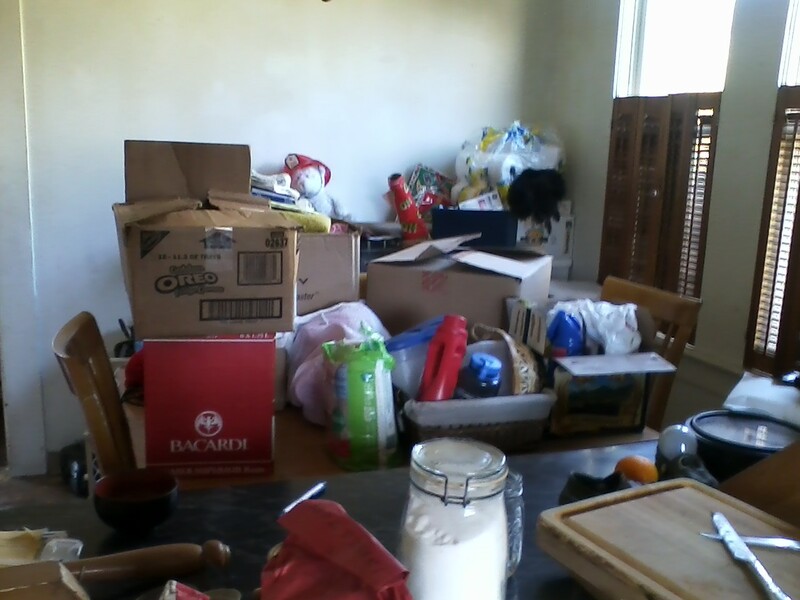 The kitchen dining area may or may not look like this still. I wish I could end the post there. Just leave it there, not look at it anymore, not dissect it, or reveal the meaning or contents of that effort. That transition. That enormously painful month: two weeks ramping up; two days (three days four days five days) moving crap, cleaning crap, tying up loose ends; two weeks soothing the children and correcting our lives. The older boys adjusted beautifully, for the most part. There is the sadness and boredom that comes after moving so far away from their best friends (three blocks away, to be exact), and no longer being able to run out barefoot for a game of catch, at least not without making a phone call, or some other huge motion, like putting on shoes and taking a short walk. Sam — that’s another story. And I’m not sure I’m far enough away from it to talk about it. He was really shooken up. I’m still sore in my gut, and can’t bear to look in my heart, and I don’t want to analyze it in my head. Let’s just say he’s better now, and four out of five days, he can manage to simply tell me goodbye when I leave for work. And when I get home from work, after a snuggle and some time together, he runs off to play with Max. This is huge. He plays with Max! Max can now enter a room without Sam screeching with anxiety. We’re all better because of it. And now we can get some work done. Those tasks we left unfinished before the move? They’re still unfinished. But we’re chipping away at them. The uncovered lead paint, damaged and dirty baseboards, unpainted walls — I’m working at it. The old drapery hardware is taken down. The funky shutters are off the wall. I’m *this close* to painting the trim. We’ve removed the dead rat that was between our kitchen cabinets. Ben has built shelves and tables and hung hooks and fixed kitchen drawers. He’s almost hooked up the washing machine, and we’ve finally come to accept the fact that it takes a full weekend for one of us to finish a three-hour task. Or almost finish it at least. I might not have a full update until the new year, so hold tight and don’t forget about us.